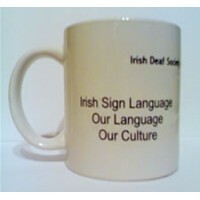 This mug is produced for Irish Deaf Society and displays the wording: Irish Sign Language - Our Lang.. 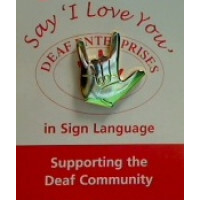 This pin shows the hand shape of “I Love You” in International Sign Language. ..